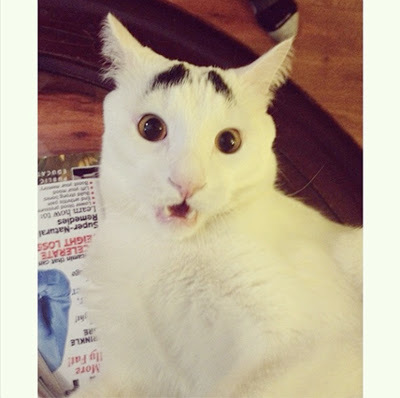 This is Sam, the cat with eyebrows. While you waste time tweezing your bushy brows to perfection, Sam doesn't sweat it, because he was born this way. It might appear as if someone took a magic magic marker to his snowy white fur, but trust -- this charismatic kitty is the real deal. Sam seems to be aware of the caterpillars crawling up his face, and uses them to his advantage in a series of compelling shots that have quickly propelled him to internet fame. 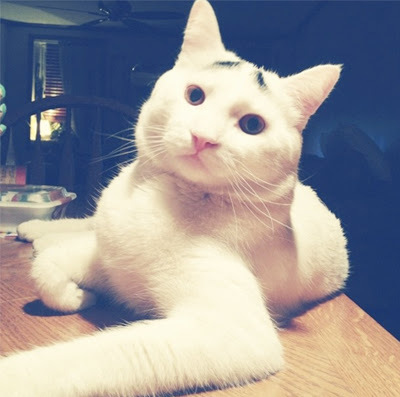 His popularity has exploded within the past few days thanks to sites like Reddit, Gawker, and Mashable covering his story, and as of this writing, his Instagram account has swelled to nearly 7,000 fans -- which is especially impressive, considering he 1. is a cat with eyebrows, and 2. just welcomed his 700th fan last week. Follow Sam on Instagram and Twitter for more pics, and stay tuned for news on this hirsute feline as it develops! OMC, he looks worried ALL the time! He's so beautiful. 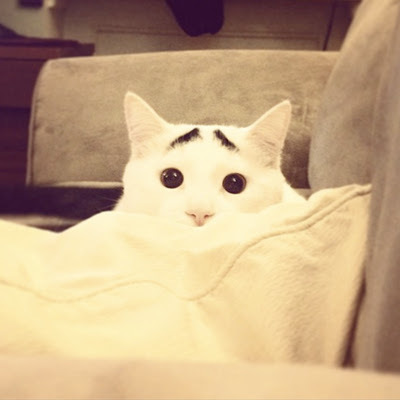 Love his eyebrows I have a kitty like him only he has black ears. I LOVE those eyebrows...crazy about them. He is adorable!!! Sam is just adorable. 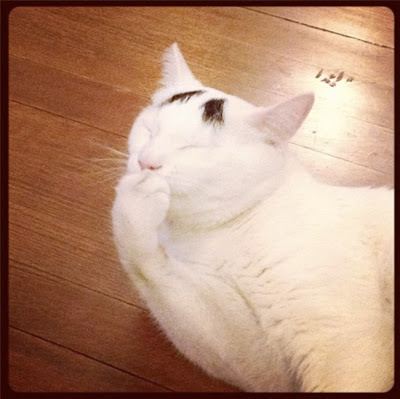 Today I saw a rescue cat that was mostly white with a few black markings. He had a line of black fur on one side of his lower jaw and he looked for all the world that he was giving us a big smile. 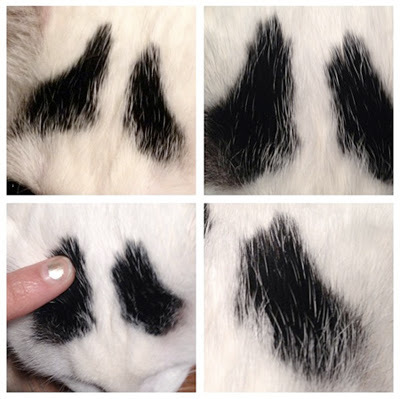 I thin cats make up their own designs sometimes. My human just lubs dem eyebrows. (I finks herz wants me to hab sum...but mine would be fakes).